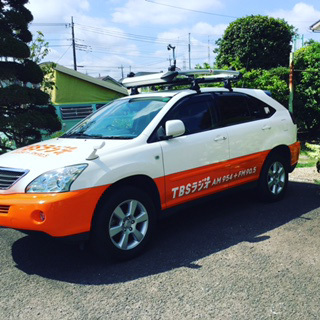 We are grateful to the media that published stories about Miyanoen on TV and newspapers! The tea leaf picking experience and Swiss roll we offer were introduced. 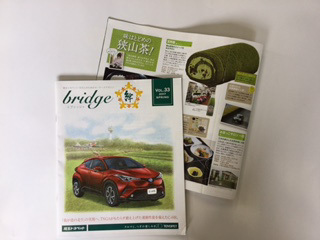 Our product Sayama Tea Swiss Roll was introduced. 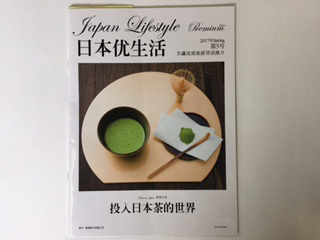 The article about the tea leaf picking experience we offer was published. 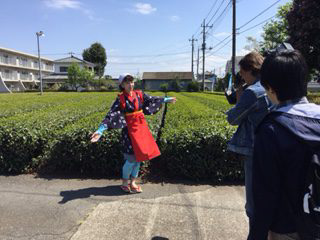 The tea leaf picking experience session was broadcast live in the segment of Nichi Ten Odekake Research (10 O’clock Research for Sunday Trip). The newscaster of this program is Rei Yanagisawa. For the website of the program, click here! The tea leaf picking experience event was broadcast live. The reporter was Midori Hakozaki. She introduced the event in her blog here. 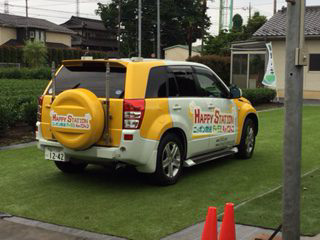 The tea leaf picking experience event was broadcast. 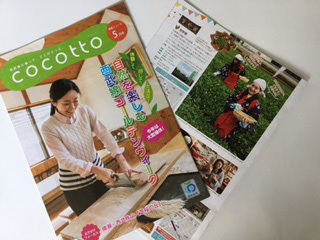 The Fuji TV newscaster Yuki Uenaka came to our farm. Kana Ebisawa came to our farm. For the YouTube version of the TV program, click here! We got interviewed for TV on the tea leaf picking of our farm. For the website of the TV program, click here! 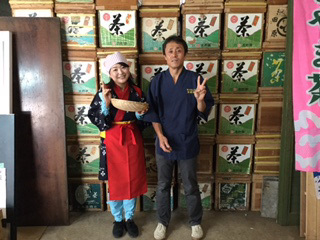 The comedian Rarugo-san and a female sound engineer who wore a traditional tea girl costume came to our farm. 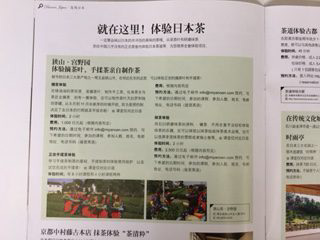 The article on our farm was published. This TV show was recorded in our tea garden. We got interviewed for TV on April 30, 2009. No. 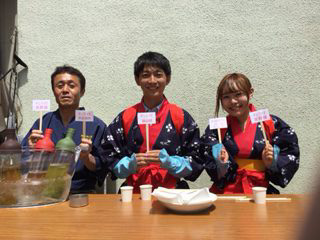 6: Seitaro Mukai of the comedy duo Tenshin went out to the tea garden and tried tea leaf picking! Theme: Special feature by the after-school research team: secret of tea, we appeared. 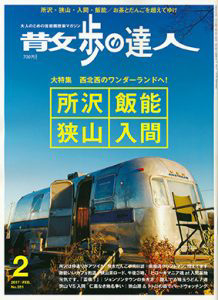 This TV program features a songwriting trip in which Akihiro Kakuta of the comedy trio Tokyo 03, who is a singer and songwriter, and Yutti, who is famous for his joke Wakachiko, visit cable network television stations across Japan to make theme songs for those stations. 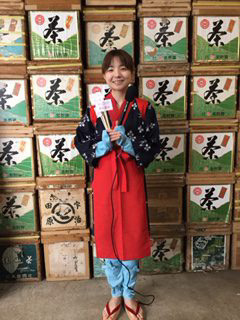 In the episode #73, they visited Sayama Cable TV in Sayama City, Saitama, and introduced the tea leaf picking experience event of our farm! We got interviewed for TV on the tea leaf picking experience event of our farm. 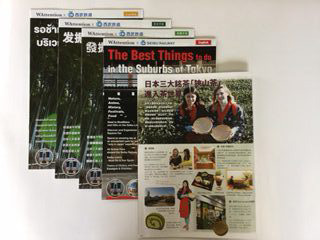 The experience event for enjoying tea of Miyanoen in Sayama City, Saitama, was covered. The recommended recipe was tea leaf tempura. The fact that dietary fibers, vitamin E, β-carotene, chlorophyll, etc,. are taken sufficiently by eating whole tea leaves while only amino acids, catechin and caffeine are taken by drinking green tea was reported on TV. 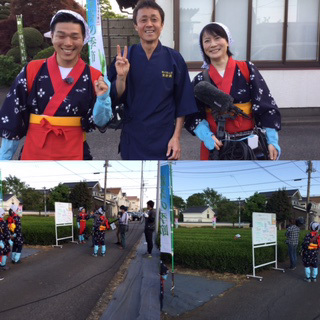 The “All-you-can-pack service with Sayama Tea”, the very popular event offered by our farm at the Sayama Parking Area on the Ken-O Expressway was covered in this TV program.